No cow pics today. I have a video of two cows fighting all over the pasture this morning after milking. However as I have said here before, black cows in the black of night just aren’t very photogenic. I do have a picture of the pigs as they enjoy their Thanksgiving feast. I fed them till they were ready to pop. Then I loaded ’em down again. 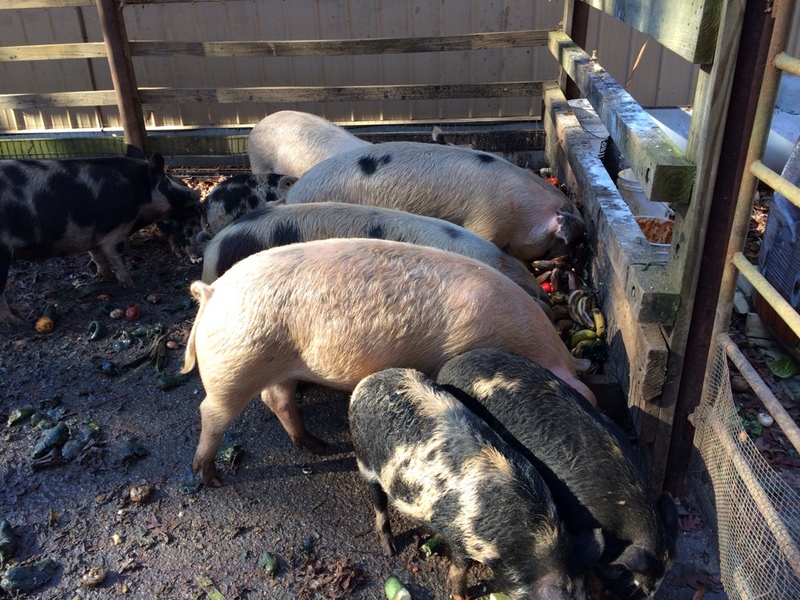 They are sleeping in the sun now with a pile of food still in the trough. Its a good day to be a pig. The cows also had their Thanksgiving breakfast of a new paddock and a new roll of hay. So while all the critters are having Thanksgiving, I am working on Christmas. Spork doesn’t know it yet but he is getting a knife for Christmas. And not just any knife but one I hand made for him. 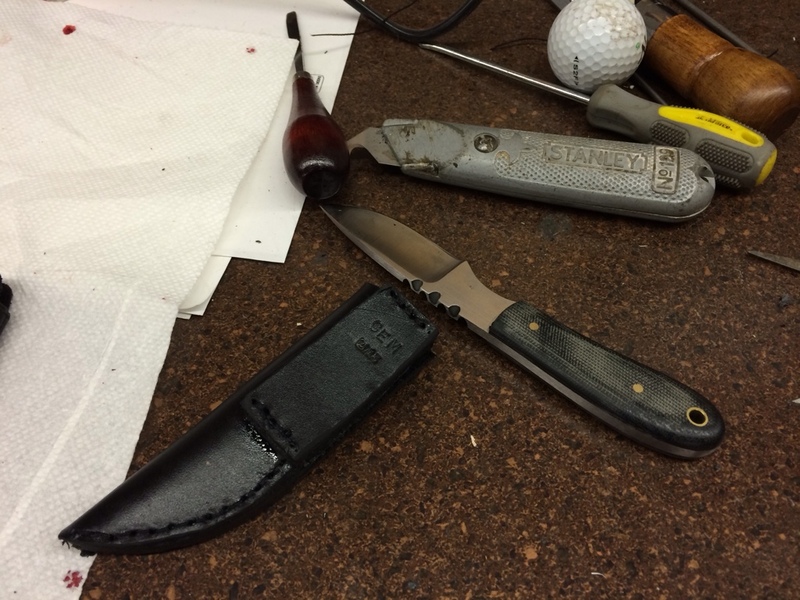 Today I worked on a custom sheath that is stamped with his initials and the year. 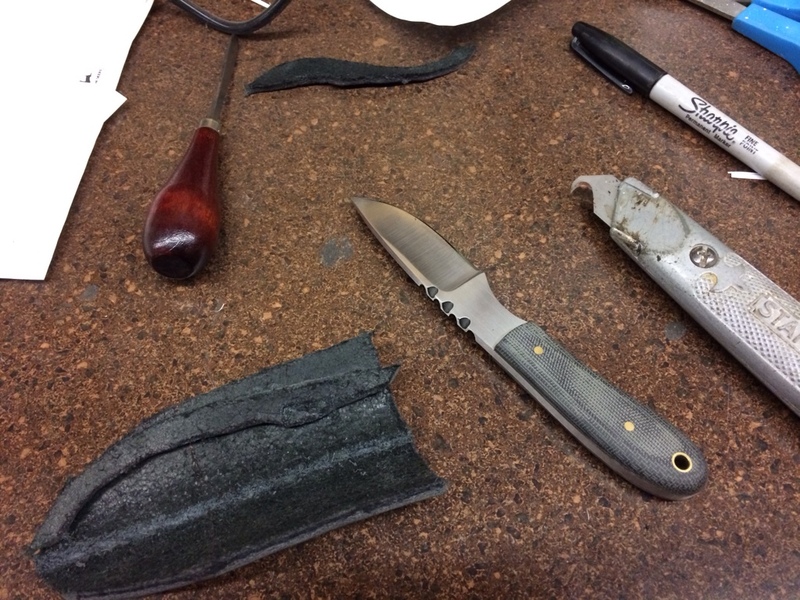 Here is the sheath after I have just started. Its a big day in a boys life when he is old enough for his first knife. I have about 4 days invested in this present so I hope he takes care of it. Whatever he does with it I am excited to give it to him.